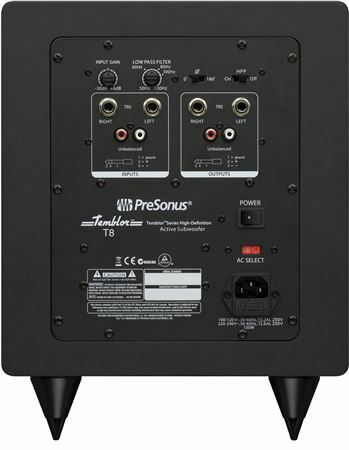 Shop PreSonus Temblor T8 Active Studio Subwoofer from AMS with 0% Interest Payment Plans and Free Shipping. So far it works fine! I like the deep end and it a very helpful addition to my studio. It was in a bundle with the e5 speakers and they match very good together! Excellent! Had an easy time setting it up with my Eris E5’s, and it works great. I can hear the low end of my music as it truly is. If you have been mixing without a sub, stop and get one! World of difference and improvements. The only thing I noticed was a little noise in my speakers, which was less audible before. Still doesn’t change how happy I am with this purchase! Great low end, and lots of power. Bought this as a pack with a pair of presonus eris monitors and ams got it to me next day free! 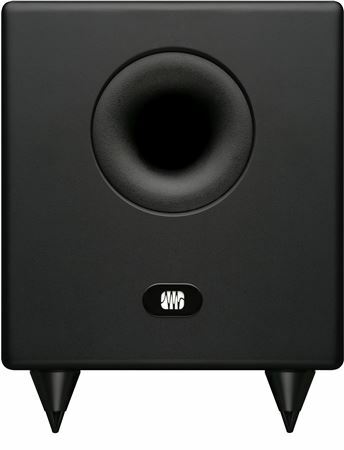 This thing sounds great and I plenty big enough for a bedroom size studio space! I paired this with Airmotiv monitors. Being able to vary my crossover point was the selling point.The result is like a security blanket. I can mix and "keep it moving ", rather than worry through mix crosschecks. A lot of focus in this lil 8"sub.